WooCommerce Store Credit Extension: allows you to generate store credit coupons and enable customers to make multiple purchases until the total value specified is exhausted or the coupons life expires. ◉reward your customer with store credits. ◉your customers can make purchases on your WooCommerce site until the total value of the voucher is has been used or the voucher is expired. ◉WooCommerce Store Credit Plugin gives your customers the option to pay the difference when they check out. 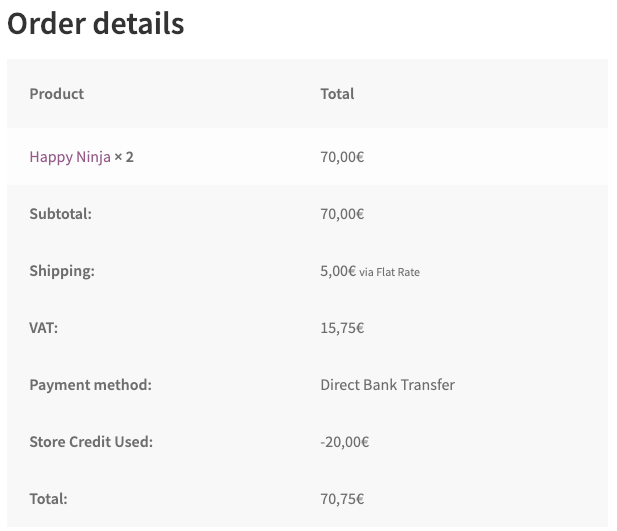 ◉WooCommerce Store Credit lets you easily create and send a store credit to a customer using the user-friendly ‘Send Store Credit’ form. ◉The store credit will be redeemable only by the owner of the email address you enter. A great addition to your WooCommerce toolset.